The Sleep Inn hotel near the St. Charles Medical Center, Pilot Butte, and Worthy Brewing calls itself a “Designed to Dream Property” —a simply stylish sanctuary designed for a happy night’s sleep. This affordable, newly renovated hotel’s amenities include free hot breakfast, free WiFi, free coffee, fresh-baked cookies, and a seasonal outdoor heated pool and hot tub. 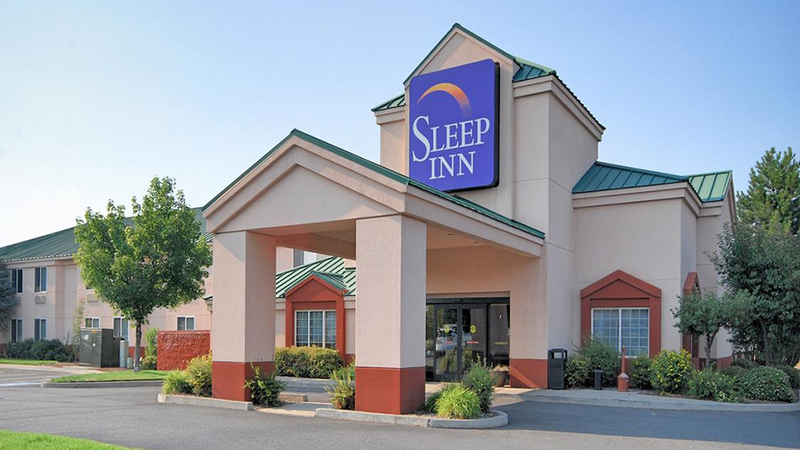 The Sleep Inn welcomes your pet and offers smoke-free guest rooms inspired by nature to refresh and relax in and feature windows that open, TVs, coffee makers, mini fridges, microwaves, irons and ironing boards. The hotel is a short drive to the airport (Roberts Field-RDM) as well as additional area attractions and sites such as Mount Bachelor, the Old Mill District & Les Schwab Amphitheater, the Bend Whitewater Park, the High Desert Museum, and the Lava River Caves, as well as downtown Bend, for shopping and dining, and a variety of central Oregon’s breweries, galleries, museums and coffee shops.